BISHOP Lazarus is not exactly breaking any news preaching to you that the Holy Book isnai??i? ?t a written record of perfect people. You all know that isnai??i? ?t it? Quite a number of biblical characters quickly come to mind to buttress the statement above. Peter denied knowing Jesus (Matthew 26:69-75). Demas forsook Paul, having loved this worldai??i? ?s enticements (2 Timothy 4:10). Adam and Eve failed to obey Godai??i? ?s specific restrictions (Genesis 2:15-17). Abram lied about his relationship to Sara (Genesis 12:10-20). Moses grew angry and struck the rock instead of speaking to the rock, thus disobeying God (Numbers 20:7-12). David committed adultery and murder (2 Samuel 11-12). Solomon started out well but turned from God (1 Kings 3:5-9). I could go on and on, but regai timbokwazisana muzita raShe. Itai??i? ?s been long. Zvinowanda imi woye. Mhepo dzacho muri kungodziwonawo. Kwava kurira mabazooka, tuma AK47 twanyarara kuti ziii. Do we call these interesting times or scary times? Depends nepaumire, but chokwadi chaicho vanhu vamwari, patimire pakaoma. Rugare kwamuri vatendi! Now, letai??i? ?s get into todayai??i? ?s sermon. This is a sad sermon about two Vice Presidents. Developments over the past few weeks have been worrying your Bishop. 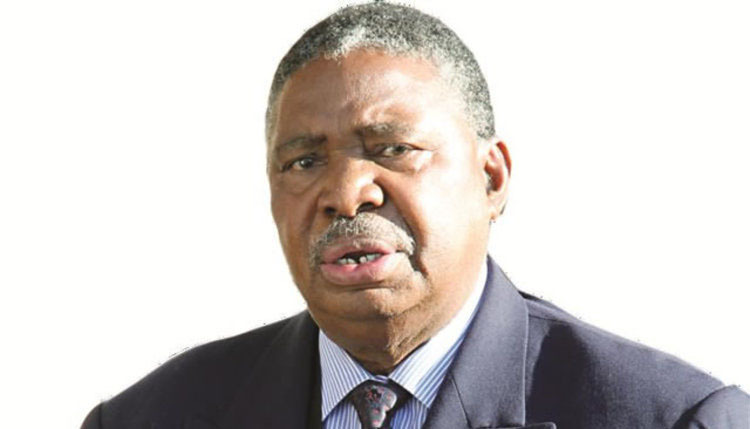 The tough exchanges between Vice President Mnangagwa and Vice President Mphoko have put the whole country on the edge. Kwanzi news dziya dzodakadza anhuwee! Let me quickly make myself clear – I have lots of respect for both VPs. They are the countryai??i? ?s Vice Presidents and so we should respect them. This sermon is stemming from the very fact that I respect these two Vice Presidents. If I had no respect for them, I would look the other way. Kutokanga nzungu zvangu. I said the Bible if full of people who over time made lots of mistakes. I listed a few of such people. Zvino if the Holy Book is loaded with people who have made mistakes, Zimbabwe ingasare kuti ndiyo yadii? These things do happen. I can hear whispers saying ai?? ?Bishop taurai nyaya yenyuai???. Well, my story is that both VP Mnangagwa and VP Mphoko didnai??i? ?t handle issues properly over the past few days. They didnai??i? ?t handle issues in ways that people expected of them. People holding such high offices shouldnai??i? ?t do what they did. Letai??i? ?s start with VP Mnangagwa. Was it necessary for him to say what he said during the memorial service of national heroine Cde Shuvai Mahofa in Masvingo? Just 10 words from his speech in Masvingo are threatening to end his political career. ai?? ?Ndinofunga kuti zvakaitika kwavari 2015 kuVic Falls ndozvakazoitikawo kwandiri kuGwanda,ai??? said VP Mnangagwa. ai?? ?Why, why, why?ai??? people asked in bewilderment. Allow your Bishop to be a bit academic in explaining things. Students of social sciences in general and cultural studies in particular will tell you that there is something called reception analysis, which denotes the way in which people actively and creatively make their own meanings and create their own culture from a given text. Reception analysis explains how audiences (people) construct meanings out of media text. By media text I mean stories, movies, news bulletins and so on that appear in the media. One of the leading researchers in cultural studies, Stuart Hall, while at the Centre for Contemporary Cultural Studies at the University of Birmingham came up with a study that sought to explain the relationship between the producers of messages, the messages themselves and audiences. Arguing from a Marxist perspective, Hall argued that through the media, the dominant and most powerful factions of society imposed their ideological values by encoding what he called preferred or hegemonic meaning. In the study, Hall distinguished three distinct approaches to decoding messages – dominant, negotiated and oppositional readings. A dominant reading, according to Hall,Ai?? would be an unconditional acceptance of the preferred meaning, through which process the message is interpreted as the producer intended and the viewer accepts the message at face value, with no critical analysis of the media. An oppositional interpretation occurs when the individual viewer decodes the text according to his or her own cultural influences; in this case, the preferred ideological meaning may be understood but not accepted or agreed upon by the viewer. The third approach is a negotiated reading, which is a hybrid of sorts; the audience member will understand and partially embrace the preferred meaning but may feel conflicted about some aspects of that interpretations; therefore, instead of completely rejecting it, the interpreter will find a way to negotiate or change its meaning to more closely suit his or her needs. One of Hallai??i? ?s students, David Morley, went on to carry the ai???Nationwideai??? study where he found out that besides the three readings, there was another one which he called aberrant reading. In short, this reading implies that one can decode text in a way that is completely different from the producerai??i? ?s preferred meaning. Pardon me for the lecture. Now, letai??i? 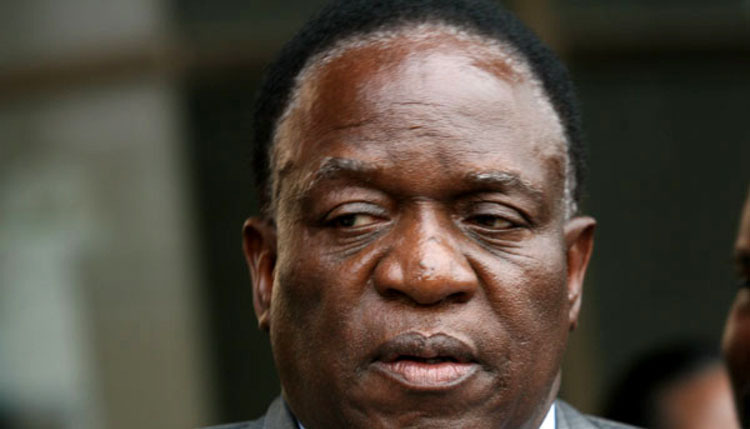 ?s get back to VP Mnangagwa. Last Thursday, the VP issued a statement clarifying what he exactly said in Masvingo, but as we have learnt from reception analysis people were bound to make all sorts of decodings from his original statement in Masvingo. Reception analysis refers to the context and the VP should have known that the political atmosphere was just too tense for him to say anything that could be decoded in a thousand ways. When VP Mnangagwa spoke, due to the polysemic nature of a text, vanhu vakanzwa zvavaida kunzwa kwete zvakataurwa. I have to confess, even Bishop Lazarus vakanzwawo zvavo and as you know, they donai??i? ?t call it Harare for nothing. This is the city where people donai??i? ?t sleep vachiita makuhwa. The VPai??i? ?s statement in Masvingo was subjected to dominant, negotiated, oppositional and aberrant readings by many people such that at the end of the day, no one knew exactly what was said. The horses had bolted and the audiences had taken ownership of the VPai??i? ?s statement. The rumour mill went into overdrive. There was nothing unusual about what was happening. ai?? ?Rakazvirova rikazhamba,ai??? Sekuru vangu Matope (May his soul rest in peace) would say while seated under the big mutohwe tree sipping his favourite ai???Chihwaniai??? beer from zicup ravo retongombeya. With Harare in a rumour logjam, VP Mhpoko, who at that time was the Acting President, brew a shocker. For reasons best known to him, the VP chose to release a statement reacting to VP Mnangagwaai??i? ?s Masvingo statement well into the night such that the mainstream media couldnai??i? ?t carry the story the next day. Resultantly, such an important story first appeared on the social media, giving the impression that the statement had been released to online publications. This was a first. Government releasing such an important statement to online and social media platforms? This was unprecedented. What made the issue even more suspicious was the fact that the statement was released unsigned and not on a Government letterhead. The mainstream media had to contact VP Mphokoai??i? ?s office the next day to confirm whether the statement was genuine. ai?? ?Yes, it is a legitimate statement,ai??? the Minister of State in VP Mphokoai??i? ?s office, Mrs Tabetha Kanengoni-Malinga, told the media. She went on to reveal a worrying detail that the statement had been prepared in a ai?? ?hurried mannerai???. Thatai??i? ?s was unGovernment-like. What was the hurry all about? Why couldnai??i? ?t VP Mphoko wait until the next day to get the full picture of what had exactly transpired? Or more appropriately, why didnai??i? ?t he engage his fellow comrade? Handiti ndivo vanga vari panyanga? But then we know the President was coming back home the next day, so maybe power had to be exercised chop chop. They call it maximum impact in the film industry. Bishop Lazarus is of the view that VP Mhpoko as Acting President should have flexed his muscles and summon VP Mnangagwa and read the riot act, if there was need for that. The hurried nature that VP Mphoko prepared the statement and the time he released the statement has raised lots of suspicion.Ai?? Naturally, there was a lot of speculation with several succession theories and names being thrown around. Ini saBishop ndakangoti Mwariwe pindirai. Honhai zvoitana machinda enyu. Just those 10 words in Masvingo? Just imagine the next Presidential Interface Rally? Just imagine the new Zanu-PF slogans? But before that, the new Cabinet would have spoken.